For my project its kind of hard for me to think of school projects since I don’t have kids. So I decided to make some favors for kids to give teachers or could be changed to give to good students or what not. Wha la a pencil . ok ok I crimped the yellow of the paper. Used some sticky strip to attach to a roll of rolos, and a kiss for a tip. 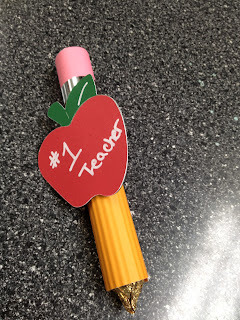 I decided to cut out an apple out of chalk board paper too and wrote number one teacher with again my bistro marker. I found these favors online so its not my original idea I don’t know who came up with it but their all over. If you don’t attach it to the rolos and just use it to build the body of the pencil , you can fill it with kisses also. chance at any blog candy offered. 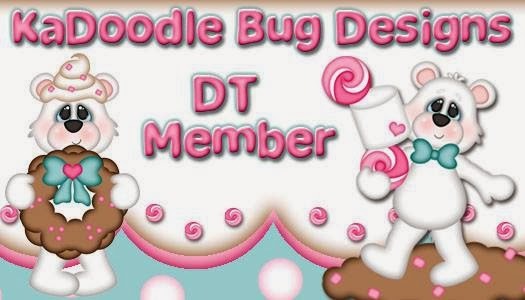 To complete your entry for the scrapbookstampsociety you have to comment on all the blogs, to gain extra entries each blog you follow will give you an extra entry. Each blog that is having their own give away has their own rules for their give aways. Head on over to Pam's to keep the bus rolling! I saw this idea online as well and was afraid I'd eat all the Rolos before I had even one pencil done! :) Well done, birthday girl! That is a brilliant idea!!! Wow never seen them before but will definitively have to try that out! Super adorable, before I knew the pencil was the size of Rolos I was intimated on how small I'd have to wrap the papers, but now I might just try this. This is great! Love your Rolo pencil treat holder. TFS. I haven't seen these on the internet. Hmm. I really like it and now want to create my own version. What a great back to school idea for a teacher on the first day of school. Super duper Cute and cool! That is the cutest project ever! How fun! I will make them for my son's class. Thank you for the great idea! super cute Jessi! I love this idea. You are one of the sharpest pencils in the cup! 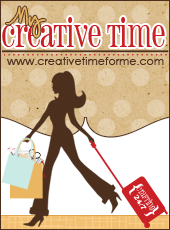 ;) Cute project full of yummy goodness! Thank you for sharing on this "cool" hop! sometimes scraplifting is the best! (out of the mouth of a major scraplifter, lol) I hope you are havinga great b'day week! Cute favor and treat too.